Posted August 19, 2013 by Nick Hadland & filed under Arts & Entertainment, CD Reviews. Blue Mountains natives Cloud Control have traded the bush for the bright lights of London. As a consequence they’ve also traded their quaint indie-pop sound for blissed-out psychedelia. 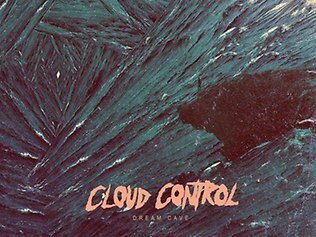 Or so it seems with Dream Cave, their sophomore record. Beginning with the intro Scream Rave, the distorted guitars pronounce the first single of the album – Dojo Rising. Moonrabbit continues the trippy new direction for the band. The ironically titled Island Living with its moody U.N.K.L.E-esque patterns and samples descend the album into far darker reaches.